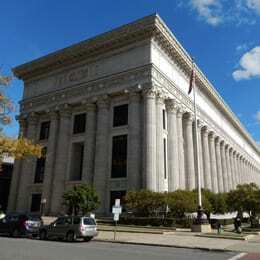 The State Education Building in Albany was constructed in the early 1910s. 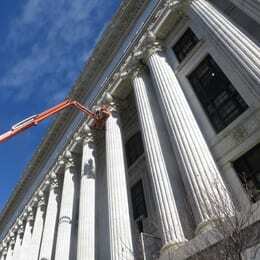 The building has a classical facade supported by steel framing. 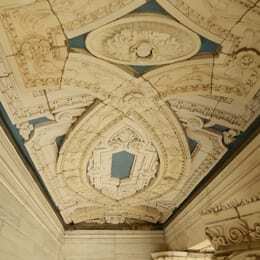 Its exterior walls comprise ornamental terra cotta elements and marble ashlar with back-up walls comprised of brick and terra cotta block masonry. 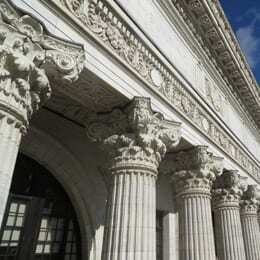 There are fluted marble columns with Corinthian capitals on the east, south, and west elevations. 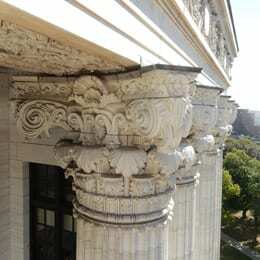 SUPERSTRUCTURES conducted a facade investigation, in particular to survey the extent of deteriorated marble and terra cotta. A comprehensive report was prepared which detailed observed deficiencies, analyzed the causes, and proposed short and long-term approaches and cost estimates for restoration.